Our apartment is located on the outskirts of 95496 Glashütten / Ofr. and covers the entire top floor of our house. Living room and bedroom lead to an 8 m wide terrace balcony (south side) with awning / awning. Altogether there are 75 square meters. For your planning, we support you with advice and practical help: If you come for the first time in the Franconian, you are invited to an orientation rundfahrt to show you the best places and locations. - A huge living room with TV and separate “easy chair corner” with direct access to the balcony overlooking the owner’s manicured garden. - A generously proportioned bedroom with queen-size bed, also opening to the balcony. - A bathroom almost as big as the kitchen, featuring double lavatories, jacuzzi tub and separate shower. Everything was meticulously clean and inviting. The apartment seems to have been built yesterday, such is the care and attention to detail the owner has lavished on this unique space. The strong WiFi allowed me to use my Apple TV on the available TV set with no problems. The area is the small residential community of Glashütten, surrounded by the breathtaking landscape of the “Franconian Switzerland” forests and hills The Festspielhaus is an easy 15-minute drive, with supermarkets and other necessities along the way. The location is perfect for exploring the region’s natural and man-made attractions, such as the stunning basilica in Gössweinstein. Of course, a rental car is required. Because of Bayreuth’s accessibility and car-friendliness, driving is both worthwhile and cost-effective. Parking is inexpensive and plentiful. I found that Parsifalstrasse, a residential street on the left side of the Festspielhaus grounds, to be a more convenient -and free- parking option than the official (and crowded) Festspielhaus parking lot, as long as you arrive two hours prior to the performance. A GPS is strongly recommended. Last but not least, I must credit the host. The charming and attentive Fr. Krieg lives downstairs and was always available to advise me on operating the apartment’s appliances and about the area’s sightseeing features. One could hardly wish for a more cooperative, sensitive and hard-working host. I am eagerly looking forward to my next visit! 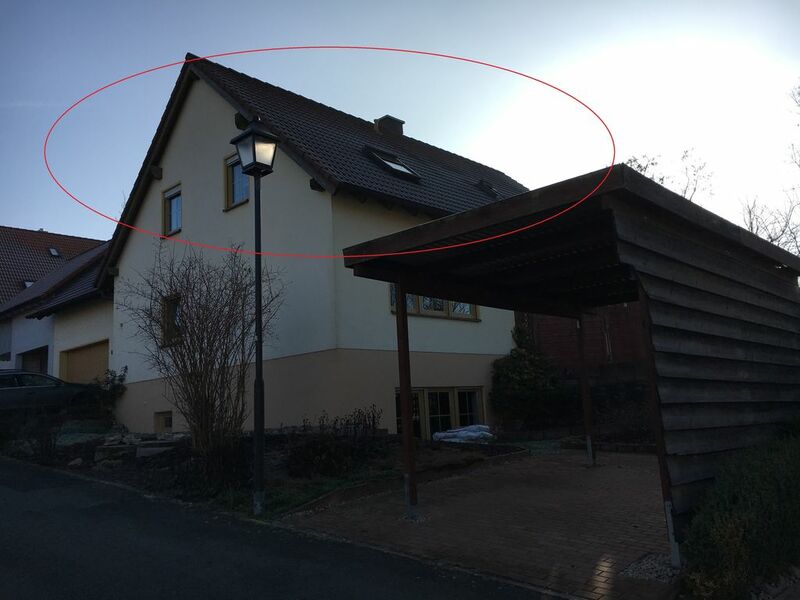 Die Wohnung ist wirklich super! Bequeme Betten, Smart-TV, Kaffeeautomat usw.! Unsere Gastgeber waren sehr freundlich, aufmerksam und hilfsbereit! Sehr ruhig und sehr geräumig. Besonderes nette Vermieterin. Gerne wieder. Sehr nette, freundliche Vermieterin. Tolle Wohnung die keinen Wunsch offen lässt. Wir hatten eine sehr schöne Zeit in Glashütten, die Ferienwohnung ist gemütlich und vom Ort kann man wunderbare Ausflüge machen - Wanderungen, Städtetouren oder Spaziergände, alles kein Problem. Frau Krieg ist eine klasse Vermieterin, die es uns an nichts hat fehlen lassen! Wir haben die tolle Unterkunft sehr genossen und würden jederzeit wieder kommen! Auch die Vermieter waren spitze.